Our distribution plan for 2015-2016 contributions was developed to meet short-and long-term goals of Soccerassist.org. Contributions received will help with administrative costs and fund annual scholarships in both years. Establishing a scholarship endowment will allow us to increase our scholarship funding in future years. Interest earned from this fund will be used to provide an additional source of annual scholarships. Our safe places to play fund will be used to help secure a successful US Soccer Foundation grant. If secured, matching funds would be provided to build a state-of the art soccer field for the entire Austin community to enjoy. Administrative costs will be used to support basic non-profit necessities including accounting, tax filing, website maintenance, insurance, promotional materials and fundraising efforts. No salaries are being paid. We are a currently a 100% volunteer based, non-profit organization. One of our goals, however, in 2016 is to raise money for a part-time executive director for Soccer Assist. ** April 2018 update: In our first three years, we have given approximately $22,000 to our partnering clubs for scholarships. We have invested approximately $42,000 as seed money for our endowment. 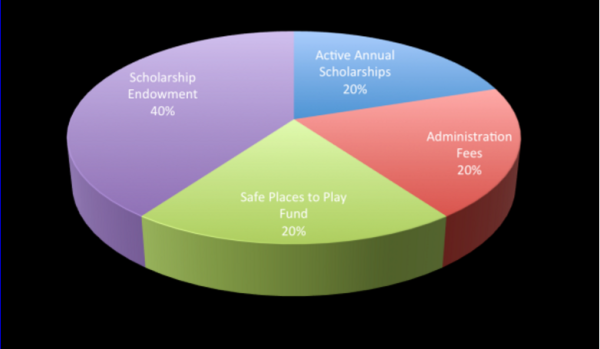 Finally, we have a savings fund of approximately $20,000 dedicated for our safe-places to play grant application. Allocations will be re-evaluated annually and shared on this website.